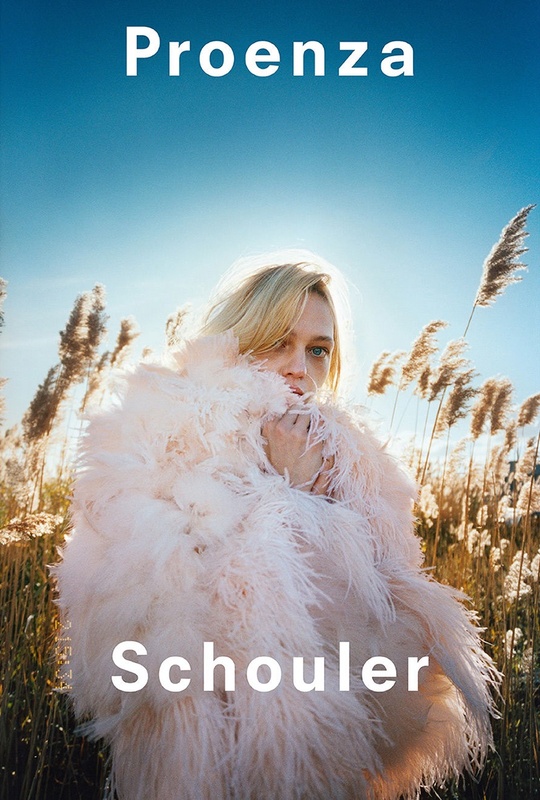 Proenza Schouler continues to unveil its spring-summer 2018 campaign with the addition of Russian model Sasha Pivovarova. The blonde beauty poses outdoors for a series of sun-drenched shots captured by Tyrone Lebon. Previously, Mariacarla Bosconoappeared in the first part of the spring campaign. For Sasha’s series, the model poses in embellished dresses, ruffled separates and voluminous coats.